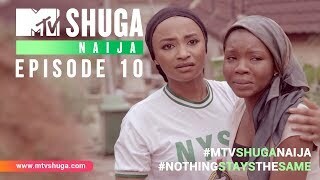 MTV Shuga returns for a fifth series, this time it's headed down south! Set in the cool clubs, hangouts and schools of Johannesburg’s Braamfontein, and the township of “Zenzele”, the new season brings more grit and drama than ever before. Starring Vanessa Mdee, Nick Mutuma and Emmanuel Ikubese, with cameo performances from Seyi Shay and Kwesta.